Do young performers practice enough? you will appear as lazy and uncommitted. Young performers have a wide range of practice programs, from casual independent jam sessions to a more committed schedule of training with industry professionals. We love to ask young performers how much they practice, and are amazed at the different responses we receive. Some young performers get more focused when there is a gig or competition on the schedule, while others have a consistent, defined plan and are focused every day on their music training. Practice includes at home sessions, gig rehearsals and music lessons. Live gigs are a form of practice, but should not replace regular practice time. We feel, regardless of your talent level and success with your instrument, that having a well-defined practice plan will benefit you. If you have had a big year winning awards and achieving your short-term goals, that doesn’t mean you should stop practicing or practice less. We love it when we hear, “I know what I want to do with my life; I want to perform and have a career in music.” Wanting this is not enough, as it requires a monumental commitment and sharp focus if you are going to realize any success in music. It is a good idea to revisit your goals frequently and devise a plan to achieve them. Look around you and see what artists have had success. Just because you get an audition on American Idol or The Voice, or even end up on a TV show, you still need to promote yourself and grow as an artist. Performing at the same types of venues/events may not be enough, so you need to reach high each and every day. What did you add to your resume this year? We just posted our new blog on 2015 young artist accomplishments on our Facebook page and asked for people to email us their information for our next blog. Shockingly, we received a handful of responses. This is FREE PR, so it is crazy to think that people can ignore these opportunities for greater exposure. We searched our market region for a young performer we feel has a great system in place for making sure he gets sufficient/quality practice time clocked in each day. Ian Tengler, Coda Sky’s lead guitarist for over two years, composer, and college music student, has designed a very serious plan for practicing. He believes critiquing his own practices makes a huge difference in his skill development and that you can be your own best judge. What is most interesting about Ian’s program is that it is entirely self-directed. He is motivated and always has an eye on his goals to assess if any adjustments need to be made. Ian credits his practice consistency with changing his quality of playing. He also utilizes the metronome a lot and works on his timing and rhythm every day. While working with the band, Ian always came to practice prepared and ready, even if he had a week of exams to study for. He never complained and was always excited to be there. We often hear bands are not in balance in terms of each member’s commitment level, and as a result little progress gets made. Oftentimes, bands break up when the members can’t agree on when, how long, what and how to practice. This is the quote Ian lives by each day: “You have to work hard to achieve greatness and if you set your mind to do something, anything is possible.” Ian’s Instagram videos got our attention as he posts frequently and takes on complex songs. He explained he sometimes does twenty takes before posting a thirteen second video, so he can feel confident he is posting the best video possible. Each video post is a reward to him and every like/comment on his posts really means a lot. Ian feels he has grown a lot as a musician over the last few years and has broadened his world of music by taking on songs in other genres. In the beginning, he was all about heavy metal, but now also regularly plays a wide range of genres, including pop. We frequently ask area bands how much they practice and it seems it is once again wide-ranging, with some practicing one time each week and others 2-3 times each week and more when they are recording or doing gigs. In addition to his independent practicing, over the course of Ian’s ten years of playing the guitar he has been both self-taught and has trained with fantastic teachers and players that have helped turn him into the musician/performer that he is today. Even to this day, he takes guitar lessons, which is in addition to the training he does in school. Ian responded to additional questions on advice to other young performers and how much practice has helped him. Do you feel your practice program has helped you become a stronger guitarist? Without a doubt! There is no downside to practicing! It allows me to improve on many dimensions. If I do have questions while I’m practicing a new “lick” or I’m stuck on a cord progression, I can always ask my guitar teacher, or look it up on YouTube, or just keep at it. Practice is the key to bumping my skill-set to the next level. I also submit for online contests as it is a good motivator and winning and placing is a great reward to my hard practicing. Who inspires you to be a better musician? Over the years, I have been inspired by many guitarists (John Mayer, Steve Vai, John Petrucci, BB. King, and Joe Bonamassa). But these past couple years, I’ve really been inspired by John Petrucci of Dream Theater. John has such phenomenal technique and just has great musicianship. When I saw Dream Theater, live in 2014 in Boston, it was amazing to see one of my guitar heroes play onstage. Keep in mind, I was in the ninth row from the stage and I was in shock pretty much the whole time because John Petrucci is not “human” when he plays guitar (and that is a good thing). I truly believe that he has made me a better musician. What recommendations do you have for other young performers? My advice to other young performers is to always keep trying to make your dreams a reality, because if you try, and work hard enough, your dreams will come true. This tip is for all musicians: don’t just listen to one genre, listen to all the music you can find, because it will make you more versatile and it will only help you in the long run. That one thing alone has helped me tremendously. I say this because when I was first starting to play the guitar, I listened to, and only wanted to play exclusively, heavy metal. But as I progressed in my playing, I got into jazz, funk, blues, classical, R&B and good old Rock n’ Roll. I still listen to and like metal, but I wanted to be more versatile and play all different genres. Last but not least, do not be afraid to critique your own work. Really listen to yourself; watch yourself on video and break down your sound as well as your performance! I noticed all your videos on Instagram. Do they help you to critique your development? I have made hundreds of videos on Instagram, and as I watch them over again, I can critique my work so the next video will be even better. I make guitar videos on Instagram for the fun of it, and I like sharing music with others and hopefully the people watching will enjoy it as well. You may follow Ian on Instagram @lespaul16 and on YouTube. We hope this blog helps motivate young performers to work hard and be goal oriented. We feel with focus you can make tremendous progress. In summary, being goal oriented and focused will make a huge difference in your development and success as a musician. Music is no different than any sport; you need to get those goals and touchdowns, and without practicing the competition will push you aside and win. 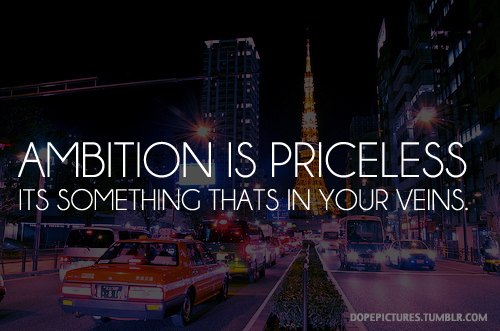 How can you be successful if you don’t have ambition? Can you skip practices, miss gigs because you have a more important social event, not participate in the development process for new music, not come prepared to gigs and practices, not do any social media promotion, not return emails and calls for performance opportunities, and still believe you have ambition? Our organization is challenged to find performers who are talented, passionate and also ambitious. We frequently hear people saying, “I haven’t practiced since the last gig.” Imagine how much better they would be if they were ambitious? It doesn’t mean you need to practice ten times more, but it does mean you need to make every practice meaningful and goal oriented. Don’t waste your bandmates time if you are not on the same page as them. Faking it will only hurt everyone else. The worst thing you can do is let your band and development team down. Another common issue is getting all band members together to practice with a committed schedule. Is it all worth it if it causes discord and relationship challenges just getting practices organized? Everyone in the band absolutely needs to be passionate about their music career and be on the same page. We have worked with performers who don’t answer phone calls, texts or emails, who make a face if things don’t go their way, who complain if sound is not perfect, who don’t watch the other performers performances, but instead walk out when it’s their time on stage, who rarely practice, who attack with criticism before they know the facts, who are bullies toward other performers, who have egos that are ugly and taint their reputation, and who simply feel they are already stars and don’t need to go through the motions to be famous or get a big break. You can have talent without ambition, and ambition without talent. Seeing both aligned is not as common. Ambition is powerful, so those who don’t have prodigy talent but have a strong ambition to learn and succeed will see great results. Many with natural talent waste it and don’t feel the need to work hard. If you have other interests pulling you in other directions, you need to sort through it all and devote your time to what makes you happy. Be honest with yourself, and do what is best for you! It has to be your decision and not your teacher’s, band mates, friends or family. 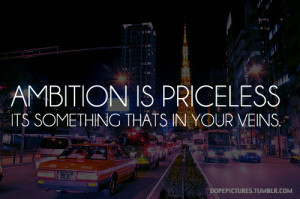 Without ambition it will be an uphill battle! If you don’t love everything about a career in music, you won’t be able to hide it. Ambition, talent and passion are the triple crown to stardom. A professional who services the music industry recently told me she wrote a book after coming in contact with so many nightmare parents. Every parent believes their child will be a star. What gets missed in the process if this does not happen, are the advantages music provides your child in day to day relationships, confidence boosting and multi skill development. 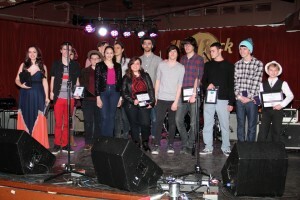 Managing a band with young performers is in line with managing a corporation. There are many personalities, needs, differences of opinion, calendars to get in sync, jealousy flairs, financial issues and so on. This story is about a family that simply stands out in terms of their support for their daughter’s music career, and how they successfully managed all the relationships that surrounded them from the band manager, band members, parents and professional team of teachers, trainers and producers. I first met Joe and Kathy Neves over six years ago when their daughter entered our showcase at the Hard Rock Café for 13 and under performers. 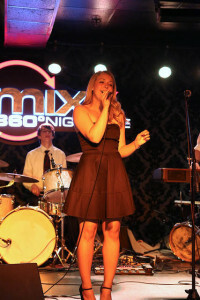 Shortly after the showcase, we had an audition for a new pop/rock band, Coda Sky, and she signed up to audition. At that time the young performer, Rachel Neves, was a country singer, but we saw great potential in developing her into a diverse performer who could cross many genres. She was selected as the lead vocalist in the band. Fast forward to today, she performed in over 150 engagements, won and placed in many music competitions and contributed to an album of 11 original songs. Her album was presented to all the colleges she applied to and was an integral part of her application process. Having the Neve’s young performer in a band presented many challenges. During the four plus years I have worked with the parents, I have been impressed with the Neves dedication and support for their daughter’s career. Furthermore, they have been honest and professional through every step in the development process. There were many reasons why the Neves were great parents to work with. They were punctual and always stayed to the end if we were at a show with many other performers. 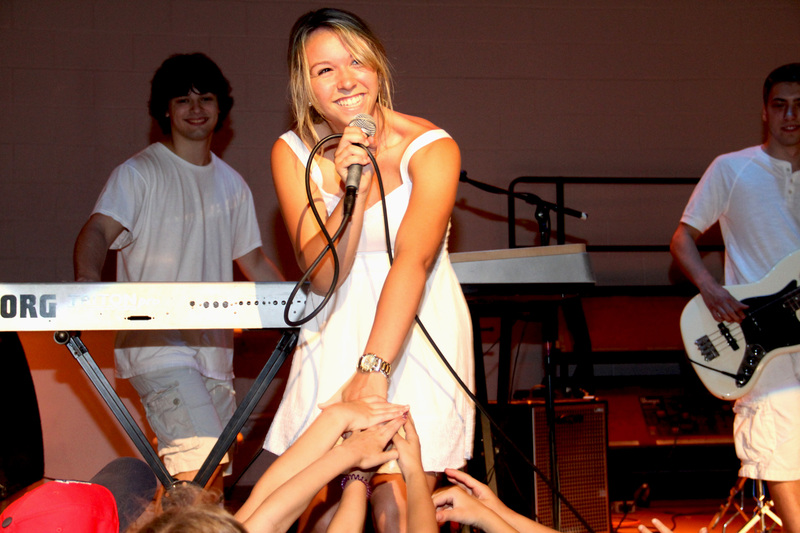 This fall we learned that Rachel would be entering college and she would not be able to do as many live performances. Her first term of college she earned a 4.0 at Suffolk University, and she recognizes that was only possible through total dedication to her studies. During midterm week she decided she couldn’t commit to a great gig in the Boston area due to her school work, but her parents called me to let me know they were going to come to the show anyway as they wanted to support the band. They also purchased tickets ahead of time which helped with our ticket quota. This was shocking to me, as I don’t know many parents that would have done this and driven three hours if their child were not in the show. As it turned out, Rachel finished her final papers early and was able to come and perform a few songs at the event. Great parents do the unexpected. They try to help any way they can. How many times have I heard, “my son/daughter was told they will be signed right away due to his/her talent”? In my nine years in this industry, I do not know any cases where this has happened. It requires a dedicated focus, financial support and hard work to get recognized in this industry. When you see young performers opening up for top industry stars, most of the time parents are writing huge checks for those opportunities or have unique connections others don’t have. There is so much entitlement out there which unfortunately clouds reality and makes people have unreasonable expectations. The one comment we always heard about the Neves was “They are so nice”. We heard this time and time again from other young performers and industry professionals. Your reputation is your child’s reputation. When a child is interviewed for an opportunity, the parents are also interviewed. An industry professional just told me she had to fly across the country to police the parents during a recording session so they wouldn’t interfere. We hear stories all the time of young performers missing out on opportunities due to extreme parent involvement which adversely impacts the work agenda and artist development process. It can be so disabling to the management team, that valuable development time is lost. We recommend parents focus on ways they can be supportive to the full team focused on their son’s/daughter’s career. Saying “ thank you” as often as you can will help to open more doors for your young performer. Listen to the professionals, as they want what is best for your young performer. Be nice to everyone involved in your son’s/daughter’s career and new opportunities will appear. When deciding who to spotlight in our next featured artist post, the decision was an easy one. 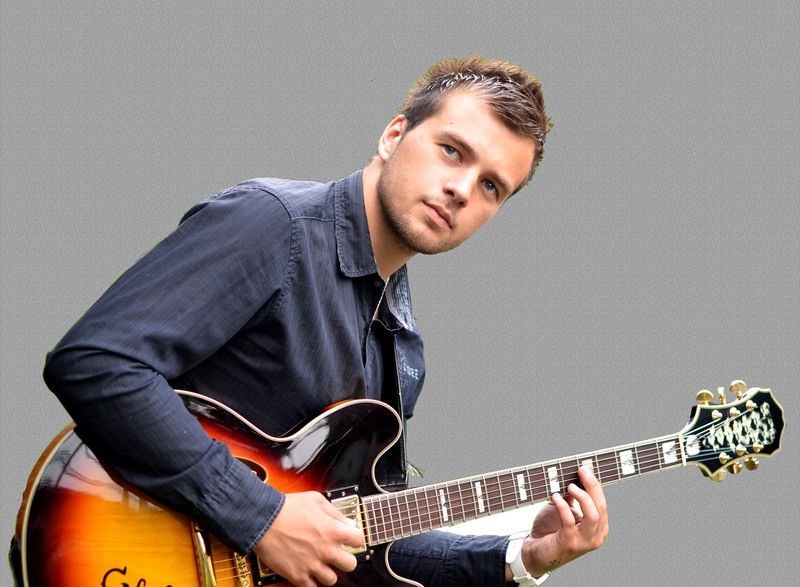 We have observed Owen Korzec’s career develop as a musician and singer songwriter over the last few years, and feel he is a terrific example for young artists on how to grow and mature as a highly respected performer. His work ethic is well recognized as he is consistent in his drive to achieve his goals and takes every opportunity seriously. No day passes without Owen mastering a new song, writing new melodies or lyrics, or gigging at a new venue. Owen has a plan and a vision. He knows who he is, and what his strengths and weaknesses are. Rather than focus on only his strengths, he has chosen to work hard on his weaknesses so he can become a well-rounded musician. He believes in continuous training and development with professionals that understand his goals and intense drive for success. Owen is hands on in every phase of the recording process and if he didn’t know how to do something he taught himself how to do it. Taking on challenges is what has helped him grow as an artist and a singer songwriter. 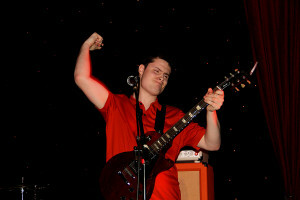 Owen is the bass guitarist/vocalist and youngest member of the band WildFire, a popular club and wedding band from MA. WildFire has been entertaining at some of the most reputable clubs in the New England area for over decade. Some of the venues WildFire performs at are Capone’s, Polcari’s, Focaccia’s, Whippersnappers, The Scoreboard Bar & Grill and The Stonewood Tavern. 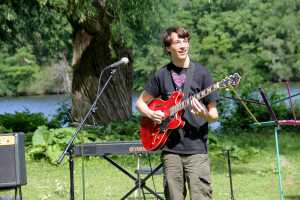 Owen practices with WildFire for a three hour practice each week and has up to three gigs a week. He is also a student at Berklee School of Music and this summer performed bass and sometimes keyboard for Coda Sky doing over a dozen gigs with the band at top venues such as the Hard Rock Café, Hampton Beach Seashell and MIXX360. In addition to his performing, he is developing his vocal and technical skills every day. He is currently not taking classes so he can take time to determine which areas in music he will focus on. 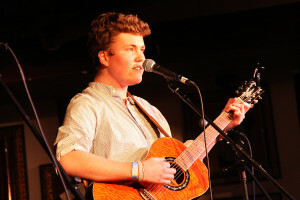 He indicated he would love to take all that Berklee has to offer, and wants to be certain that his major and course curriculum is aligned with his career goals. Owen is masterful at using his time and knows how valuable time is in helping him acquire the tools and skills needed to become a standout musician. Some of Owen’s characteristics and recognized qualities…. We enjoyed getting to know Owen and know he will be an inspiration to so many young artists. My parents started buying me toy instruments when I was five, so I was always surrounded by music. I also was always banging on pots and pans and was fascinated with the different sounds. The keyboard I got when I was five came with a manual so I started teaching myself how to use it. By the age of 7 I was taking guitar lessons and I was like a sponge and kept wanting more. My dad was a drummer in a band, so he introduced me to a simple drum kit with a snare, high hat and box, and I quickly became obsessed with it. I performed with my dad in blues jams when I was 7 and 8 so I never got nervous performing. I learned the cello in elementary school and transitioned to upright bass in middle school. At 14 I joined a band and fell in love with song writing. It was then I decided I wanted to learn how to sing so that is where I got most of my formal training. Over the years I have had over twenty different teachers and can play six different instruments. It was fun in school as I was able to play all instruments in the jazz band so I bounced around a lot. I love vocal training as it requires much more discipline since it doesn’t come naturally. Learning how to sing. Playing instruments came naturally, but singing was one thing that didn’t come easily. There was so much I needed to refine to become a singer. I had a gut feeling that with hard work I would be able to do it so I tried to teach myself. After realizing I needed some added guidance, I started working with a teacher online through Skype. He helped so much to get me confidence and get on the right track. Now I know where I am going, as he was helpful in laying out a solid foundation. After a year and half I noticed issues in my voice I needed to fix. It is possible to have great teacher, but after a period of time you can outgrow them. My new teacher, Phil Moufarrege, is a life coach and mentor. He helped me see the big picture. People need to find someone who is willing to help them in all areas of development. I’ve been with Phil for two years. He is from Australia and is now in Japan, as he feels the music culture in Japan is more open-minded. We have a strong relationship and he totally gets me. I am so lucky to be working with him. When you find the right person to train with it transforms you. My top goal is to be more of a leader than a follower. In order to lay down a legacy for myself I would like to lead the way. I am interested in being a singer songwriter and anything unique I can do with that. I want to stand out in some way and figure out a niche place for my music. I know I love to perform and would be interested in touring. I also would be interested in being a front man in a successful group or show. What genre will you focus on? I like pop/rock/indie, but am always incorporating other genres to create a unique mix of music. I have a home studio so I am always creating new music. I like to write when the time is right, not when someone tells me to. If I don’t write for a long time it’s hard to get back into it. I have a gift for writing lyrics, but it can slip away from me if I neglect it. One exercise I do daily is to select an object when I get up in the morning and write about it for ten minutes. This gets the writing juices flowing. With music inspiration comes easily to me. If I come up with a quick routine it helps. At school assignments were date specific, and I found those songs were not always my best songs, but still helped me grow as a songwriter. How much time do you spend on your music? For me it depends on the day, but it is always a matter of hours. Since it is the backbone of my life I can be at it all day, but on average it is 2-3 hours a day. Each week varies depending on the gig schedule. Performing is good, but I need to balance it with practicing. Performing leads to an incremental improvement and to really improve you need to set aside the time to practice. What is your top accomplishment? Teaching myself how to record, mix and master new songs and handle every stage of the process. I built my own studio, so I have the equipment needed to produce a full album. Thus far I have completed eight original songs. What are some of your daily challenges? Trying to fit it all in! Playing music is great, but I also have to make sure I am healthy, eat well, get sufficient sleep, network with people who can enhance my career and be involved in all the social media marketing. Taking care of your health keeps you going in the long-term so I can be reliable and fulfill all obligations. What advice can you give to other young performers? Best thing to do is find a really good mentor for whatever your main skill is. Find someone more successful than you who can teach you new skills. It is also important to be disciplined and practice even if you’re good at it. If you already have a gifted talent you still need to honor it, enhance it and use it. Don’t take anything for granted and embrace all challenges that come your way. Be open-minded and look for the upside in all opportunities. I am driven by fear in a healthy way, and feel everyone who takes every note they sing or perform seriously will get better results and attention. Don’t underestimate the work it will require to get good and although you may think you know it all, there is always someone doing it better. If you have a gift, you still need to figure out where you are headed. Owen is always ready and eager to perform. His excitement is infectious and impacts all those around him. The most important message in this spotlight story is that Owen believes in Owen. All artists need to believe in themselves at all times and project a confidence and passion that is effortlessly projected. As you pursue performance opportunities, you will meet a lot of people that manage the shows, venues and events you are participating in. These people work hard to organize the performance opportunities, so any appreciation you can show them, will be remembered. Many of these organizations are non-profit entities and many events are managed by teams of volunteers who are passionate about helping the young performer market. Whether it is a single event or a longer term relationship, taking the extra step to say thank you, and express in some manner your appreciation, is extremely important. We recently received a framed photograph of a band from CT, Gravitonik, that participated in the Young Performers Club 13 and Under Showcase. The photograph was signed by all the band members and it was accompanied by a nice note thanking us for the opportunity to perform in the event. This type of thank you is extremely rare. It demonstrated that the band genuinely appreciated the opportunity and that they loved being part of a quality event. If the relationship is longer, you may need to be more creative, so your thank you has more emotion and thought behind it. Relationships in the music industry are usually short-term due to school and other committed activities, but every relationship can have value in your future. Not sending a proper thank you can result in you not being recommended for future events. Saying thank you for opportunities presented you don’t pursue is also important. If you are contacted for a performance opportunity, stating “I am not available” is not acceptable. It is best to state how much you appreciate the opportunity, and that you would have loved to perform in the event if you didn’t have another commitment. A response like the one below is more appropriate as it keeps the door open for future opportunities. In saying “I am not available”, it sounds like you simply are not interested. In this scenario, the event manager may not contact you for future events. It is a small music community in the young performer market, so establishing your reputation early will favorably impact your career development. Look at the thank you as an opportunity to continue to promote your brand. If you send or post a flyer, as an example, it is possible it will get reposted on the event’s social media pages. Some ideas for ways you can say thank you follow. Saying “thank you” is all a part of the marketing process. It helps your brand, shows you are respectful and professional and it keeps you connected to the organizations and event managers presenting opportunities. If you get in the habit of taking a few extra minutes to say “thank you”, people will take you seriously and will not hesitate to call you again. Talent is a big part of the talent review process, but there are so many other qualities that make a performer standout and shine in the spotlight. Below are the qualities we feel are important when evaluating talent. Believe it or not, we can assess performers very quickly on these qualities. A performer with his/her head down and closed eyes, no facial expression, no stage movement, no audience engagement and no dynamic energy will score poorly in an overall talent assessment. The best way to score favorably is to do a lot of gigs, and get comfortable performing to all size crowds in all types of venues. Your confidence level will shine, and it will be evident to the audience. Sometimes the smallest gigs can end up being your best performance. I love to tell the story about a band that performed at the 2015 Yankee Homecoming, to nothing but empty chairs. People arrived throughout the day claiming their spot on the ground for the evening concert, and they had no plans on watching the current concert going on. In this situation, it is easy to tone down your performance and take it easy on stage, however, the band actually performed to the empty seats as though they were filled with hundreds of people. This is not easy to do, but you must never show how discouraged you may be with the show outcome, and at all times should put on the best show you know how. Does the performer move around the stage and take the mic off the mic stand? Does the performer show respect for band mates and others on stage with him/her? Does the performer lift off the ground or show movement to the music at any time during the performance? Does the performer make eye contact with the audience? Does the performer engage with the audience and get them to respond to his/her music? Does the performer feel the music and move rhythmically to the music? Does the performer look like they are enjoying themselves all through their performance? Does the performer naturally respond to the music? Does the performer have confidence and command of the stage? Does the performer genuinely show they care about their music? Does the performer show they care about the audience’s acceptance and enthusiasm for their performance? Does the performer smile and show their everyday personality on stage? Does the performer perform as though they are the only one in the room, and ignore the audience? Does the performer stick around to engage with potential new fans? Is any of his/her performance forced and unnatural? Does the performer show they are having fun before, during and after their performance? Does the performer show they are down to earth and approachable? Can you visibly see the performer’s passion for his/her music and their love for live performing? How real are the emotions the performer shows on and off the stage? Does the performer want to keep playing? Is the performer connected to the audience or could he/she just as well be performing to an empty room? Does the performer comfortably make eye contact with the audience? Does the performer get the audience participating in their performance (clapping, singing, and dancing)? Does the performer talk to the audience and interact in two-way communications? Setting goals and building a One Sheet and resume is important to staying focused and showing growth as a performer. We see performers who month to month show they are growing, while others perform the same songs they did six months prior and don’t seem to challenge themselves. Have a plan and focus on how you can get more attention in such a competitive industry. If you are a writer, keep putting out new songs. If you are not, find someone to write for you and get into the recording studio. Be aware of all these qualities and score yourself following each performance. Then ask others to score you and see how the assessments compare. What Sam Robbins does looks effortless. He confidently peers out to the audiences he is performing for, and his smooth melodies and genuine spirit makes everyone smile throughout his performances. Sam Robbins won the Young Performer Showcase Qualifier, and then months later won the Grand Finale event which was packed with top talent from the New England area and beyond. Sam simply paid attention to the judging criteria and worked hard to make sure he hit all the areas with top scores. He did a medley of several cover songs and also sang one of his original songs, which earned him high scores in originality and creativity. He is self-motivated, genuine and has a quiet confidence that simply grabs your attention any time he is on stage. The one response in this interview which really stood out was the answer to the question, “What is the best advice you have received?”, and he responded with “Be nice”. This is what his drum teacher told him in 5th grade, and he feels it is something he thinks about each and every day as he does gigs, works with others in the industry and interacts with fellow musicians. Sam has performed in several Young Performer Club events, and it is clear he appreciates every opportunity presented. When did you first get started in music? I played the drums from 5th grade through middle school, and then switched to singing. I got into singing in 8th grade when someone asked me to sing a song that my friend was going to sing, and since he wasn’t available, I decided to do it. I owe my friend a huge thanks for convincing me to do it. I never took guitar lessons, so it was a process. My brother played guitar, so one day I picked it up and learned what bar chords were. It was overwhelming since I had so much to learn, so I quit for three months. Then my freshman year in high school, I decided to put the vocals with the guitar and found out I loved creating new music. I had never taken guitar lessons so it was a tough process. I would play around the house before and after school and when an elementary school asked me do a school event I knew performing needed to be in my future. It took a while to write songs, but I found that sophomore year I could really get things going and would do one new song a month. It was still hard for me, but I learned a lot with each new song. Who was your biggest influence in your early years? My biggest professional influence was John Mayer. I was also blown away by the Avett Brothers albums which were very folksy. I loved that genre and decided that was what I wanted to do. In everyday life, it was my drum teacher who influenced me the most as I had worked with him from 5th grade to sophomore year. When did you know you wanted a career in music? Sophomore year I had read Bob Dylan’s autobiography and said to myself, “You know, I could do that, so why not do it.” My high school was very musical so I joined the percussion group and ended up going to the world championships. How often to you practice? A lot! When I’m no working or out doing something, I am playing. It is many hours every day. What are your music career goals? Doing well at Berklee School of Music and I really want to be a performer with some industry recognition and be a successful songwriter. The biggest accomplishments were winning the Young Performers Club Grand Finale, and getting accepted into Berklee School of Music and SUNI Purchase College. The Finale was a good networking event as I have been invited to perform with other finalists who were in the show, and I am also doing the Young Performer Club shows this summer. Listen to a lot of music! Find artists who are a big inspiration and watch them play. Also, realize you are no different than they are. I may be a few years behind Ed Sheeran, but I believe I can get there, and so can you too! What is one thing someone said to you that you’ll always remember? My drum teacher told me to “be nice”. At that time, I was an awkward middle school kid, but it is something I remember each and every day. What is something you have overcome that was a challenge? I opened for Coda Sky at the Boston Convention Center and had to learn how to burp and sneeze in the middle of my songs. I found out that is a good skill to have. I guess I pulled it off as nobody noticed. It has been an ever changing process for me. A lot of times I will get an idea for a melody first. It is always nice when the melody and lyric come together. I can get an initial idea and then ground it with piano or guitar. It is different every time. A lot of people will come up with a line and then expand upon that one idea. For me the idea can drive the direction of the melody. What was your biggest challenge in a live performance? I was in high school percussion ensemble. I did the snare drum and it was a lot of learning how to not make excuses for how I couldn’t do it. I finally overcame a part in the song I struggled with, and did it perfectly at the world championship. My teacher nodded at me and I cried. It was a ton of stress as I never did it right in practice either. I learned I needed to get over my brain telling me I couldn’t do it. Beforehand I whispered “I am the best drummer everyone has ever seen.” Talk yourself into the confidence you need. It works! How are you managing all the marketing tasks? It’s really hard! My philosophy about this is I am going to be the guy that does it even when others don’t think I will. It is a lot of hard work. I am constantly on Instagram and Facebook and am focusing on all sides of the social media marketing. Sam looks forward to performing at Hampton Beach and opening for Coda Sky on July 27th at the Seashell Oceanfront Pavilion. 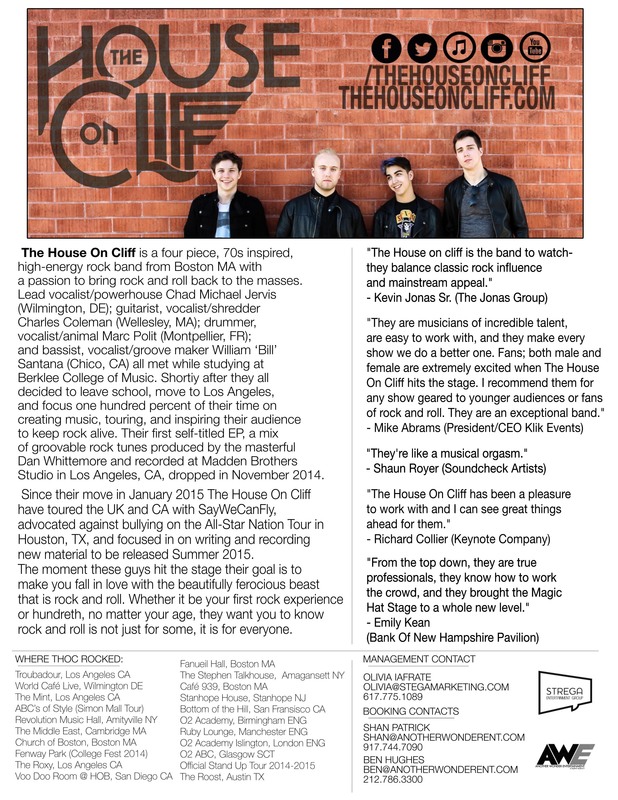 He is also excited about starting his freshman year at Berklee School of Music and continuing to record new music. He is in the studio now and has a new EP in the works. The Young Performers Club has enjoyed watching Sam’s progress, and is confident he will experience great success with his music career. Artist to artist you will hear many answers to the question, What makes a good gig? We recently posted this question on our Facebook page and received some great responses. When searching for gig opportunities it is important to keep your priorities in mind and make sure the gig satisfies a good number of them. Otherwise, you will be disappointed. It is OK to pass on gigs you feel does not meet some of your priorities. It is also a good idea to participate in all types of gigs including festivals, concert, fundraisers school events and openers, as it provides you well rounded experience at performing in front of all different size crowds. Many artists start to pass on gigs that require no compensation which is close minded as every gig can provide referrals to future gigs. Best of luck and don’t get disappointed as it takes many calls to the same person to land gigs. It is always a good idea to set goals and priorities each year, as it is a helpful system for tracking your progress in your music career. Everyone starts somewhere, and over time if all goes as planned, performers rise up the ladder to new levels of career excitement. 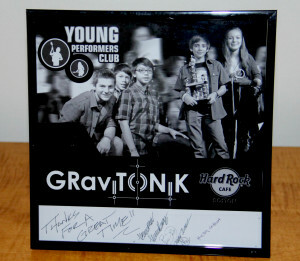 The Young Performers Club has its own level system they utilize for tracking an artist’s progress. When we receive calls from new artists we immediately assess what level they are at so we know best to how to structure a development program for them, and help them acquire the experience they need for future success in the industry. Rating yourself, compiling comments and getting industry feedback will help a lot in your future development. Be aware and honest about where you are at. What is real in the online numbers, and what is inflated through financial investment is hard to determine, however, engagement is one real number you can start to track. As an example, if you post a video on YouTube and receive no comments or likes, that should indicate you need to do a better job getting the song out to your fan base. If you ignore the importance of goal setting, it will be a more challenging road ahead! Start by determining what level you are at. Once you start performing, give us a call and we can help you organize your priorities and establish a branding program. It is advisable to do this when you transition between Level 4 and Level 3. Over time your One Sheet will be revised as new goals or achievements are realized, so don’t feel your resume is not impressive enough to have one. Almost everyone has an online presence, photos and performance links, so you can start with them first. It is a good idea to maintain a performance record of all your activities so it is up-to-date and nothing gets missed. Just record the gig, gig date, contact information and performance description. By starting to compile your information you will be headed in the right direction. You will appear more serious about your career and overall will look more professional. It is important you are clear, concise and to the point so it is an easy quick read. Remember those you are sending this to get hundreds a day and have little time, so make sure the important facts are up front and jump off the page. 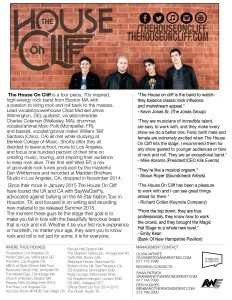 We have included the One Sheet of a prior Grand Finale Finalist, The House on Cliff. The band is touring the US and has recently relocated to LA where they are working on new songs with top producers. They use their One Sheet frequently for performance opportunities and industry engagement. Get organized and create your One Sheet today!